Hello Sunshine! Or…cloudy days. Either way, your eyes need dressing for protection. Steer away from the wrap-around Dirty Dogs; even though the 2000s trends are coming back…we’re pretty sure these will never be cool again. Whatever your style, we’ve scoured around to bring you eight of the best sunglasses for you to wear this summer. So go on, get shopping! 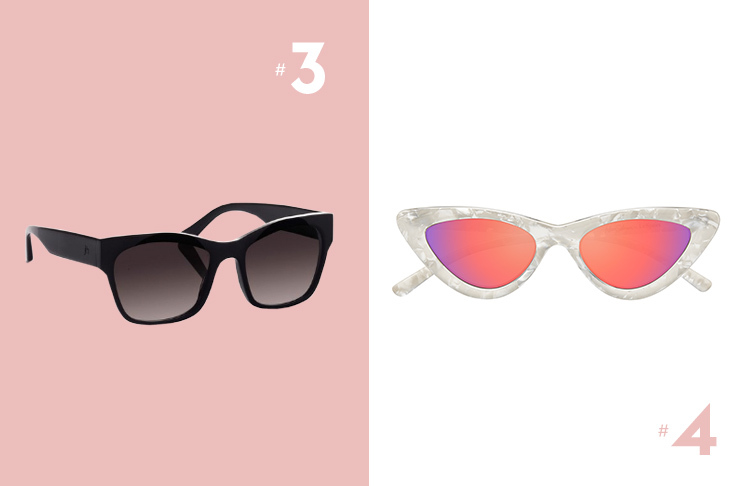 Cat-eye sunglasses are huge this season and, if you’re lucky, you’ll be one of the very few that suit this shape. If you are, then get your hands on this Ellery x Specsavers style. They’re perfect for those with impaired vision as well, offering prescription lenses. 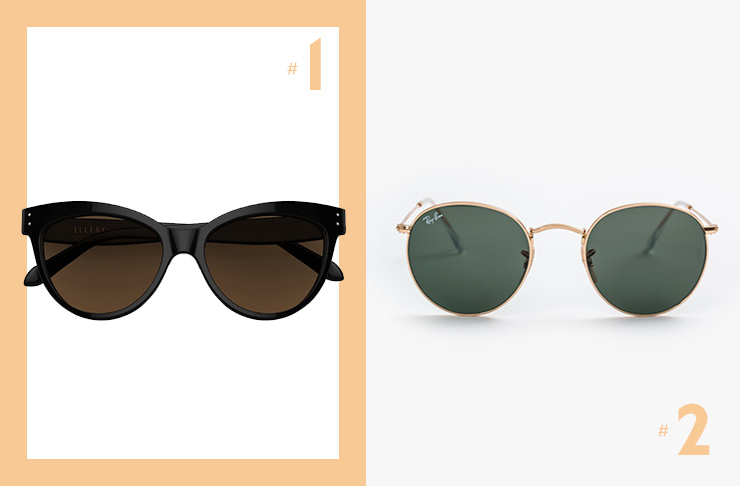 Steering away from the old Wayfarer style and stepping into the new rounded style, these Ray-Ban sunglasses will be coveted by all the trendsetters (or followers) this summer. Get your hands on a pair for the months ahead. If you want to look stylish, but are not into changing your sunglasses season after season, then you’ll want to invest in this pair from Juliette Hogan. The fashion designer, who only recently launched her eyewear brand, seems to have nailed it. We’re picking this simple square style that will be in season for years to come. We don’t know about you but, to us, this is just screaming the Olsen Twins circa 2000 and, strangely, we love it. Over-the-top tinted lenses and a crazy shape, what more do you need to show the world you’re too cool for school? You’ve gotta be one for pushing the fashion boundaries to pull off this pair from Le Specs. People will either hate ‘em or love ‘em—you choose. If you haven’t guessed what brand these are by now, then you probably don’t live in Auckland. Karen Walker’s sunglasses are coveted by some of the most important international celebs such as Gigi Hadid, Riri and Queen Bey. Even if you’re not into celeb-spotting, if you live in Auckland, you must own a pair of K Dubs sunnies. We’ve got this limited edition pair on our list, because who doesn’t want something that’s exclusive? 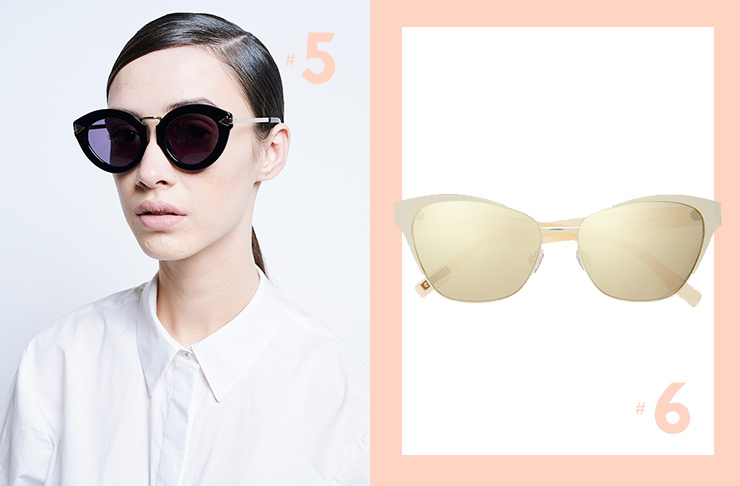 Go for gold and look super glamorous in this cat-eye frame from Witchery. We think they’ll be perfect for the races, paired with some fancy headwear. Cat-eyes are in season now, so get ‘em while they’re hot. This one’s for those who don’t mind splurging a few hundred dollars on a pair of designer sunnies. If you’re one of them, just make sure you’re good at keeping stuff around. This Preen By Thornton Bregazzi pair will look good on plenty of face shapes and will be a style to stick around. 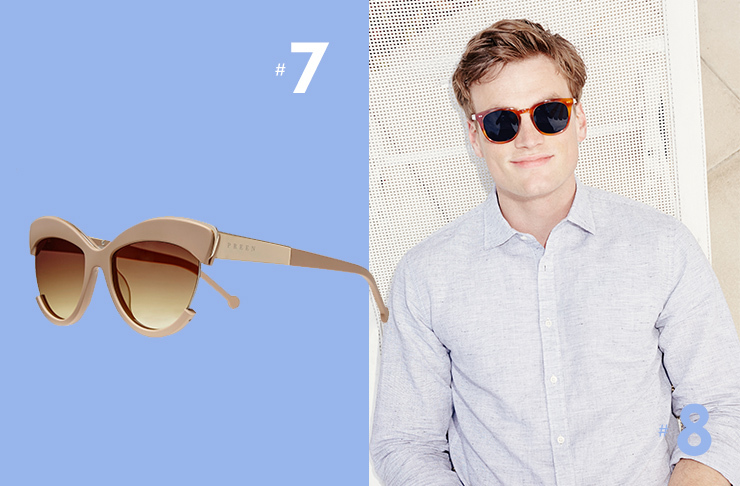 We couldn’t go on without paying homage to sunnies more suited to men. Bailey Nelson has nailed it with this subtle ‘I’m trendy without trying’ look. We can bet you that every male in Auckland will be wearing this shape over summer.